When Should I Get my Puppy Spayed/Neutered? Even if you have never owned a pet before, you may already know about the importance of having animals spayed/neutered. Your new puppy is no exception. Spaying/neutering your pup is a very responsible act that will not only benefit his/her health and wellbeing but will also be a contribution towards preventing the further overpopulation of unwanted pets in Richmond VA. If you are searching for spay and neuter clinics near Richmond, VA, then look no further than Betty Baugh’s Animal Clinic, where our priority is the health of your pet. How does spaying/neutering benefit my puppy’s health? Few people fully realize the full health benefits of spaying/neutering their pet. Unfortunately, our animals are just as likely to develop health problems as we are, but removing their reproductive capabilities can help to reduce this risk. In females, spaying can eliminate the likelihood of her experiencing certain female-based cancers including uterine and ovarian cancer. You can also protect her from developing recurrent urine infections and reduce the likelihood of some female cancers including breast cancer, which is fatal in dogs in around half of cases. In males, neutering will eradicate your pet’s risk of developing testicular cancer. It is also worth noting that if you have a female pup, you will be able to avoid the inevitable messy bleeding that will occur when she comes into season. This can last weeks and be very disruptive and unpleasant for owners of indoor females. You can also help her to avoid the unwanted amorous attention of in-tact male puppies and dogs in the area. If you do not intend on breeding your dog, we strongly advise that you get your puppy spayed/neutered as soon as he is old enough. This is because females can experience their first heat and become pregnant before they reach six months old. Removal of the reproductive organs can be performed at young as four months of age. Many shelters sterilize puppies as soon as they are eight weeks old or weigh two pounds. Studies have shown that the sooner a puppy undergoes the sterilization process, such as ahead of her first heat, the more likely they are to reap any associated health benefits from the procedure – in this case an even greater reduced risk of female cancer. Will spaying/neutering my puppy hurt him? Animals are always anesthetized during sterilization surgery and you can rest assured that your puppy will have no awareness of the procedure or be in any pain. The location of the reproductive organs to be removed means that female sterilization is performed through an incision in the abdomen, while male puppies can usually be carried out through an incision in the scrotum. However, if the testicles have not yet dropped at the time of the surgery, an abdominal incision may be necessary. Most puppies recover fully in just a few days, but should be monitored and kept on limited activity for at least 48-72 hours following their sterilization. 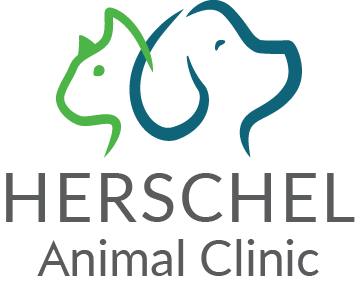 If you are looking for a spay and neuter clinic in Richmond VA, our dedicated and professional veterinarians would be happy to help. Please contact us at 804-331-2880 to schedule an appointment for your puppy.